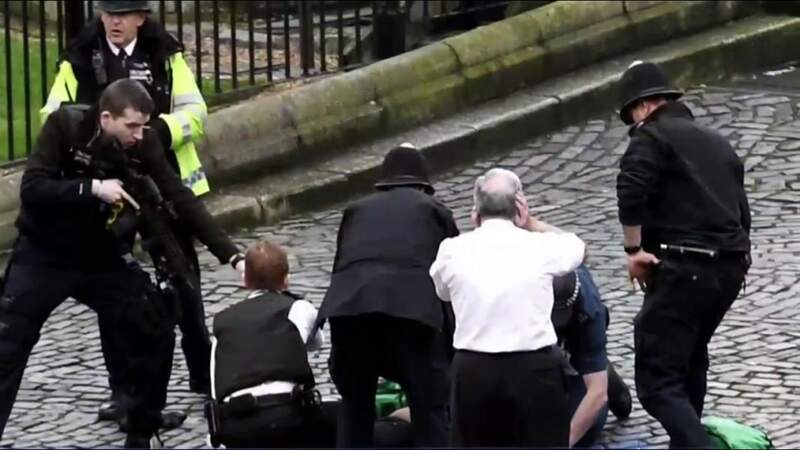 After an individual drove a 4×4 through a crowd outside the Palace of Westminster, shots were fired and a police officer was stabbed. 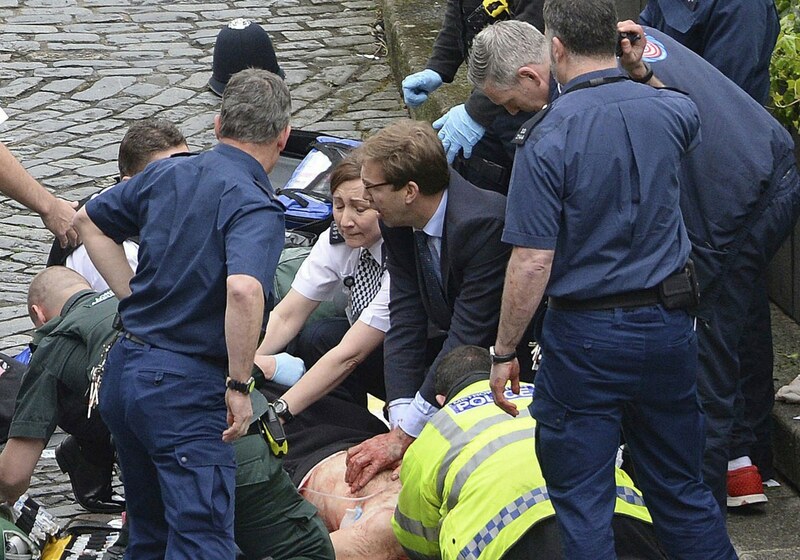 Tobias Ellwood, a conservative member of Parliament and former soldier who was close to the incident, rushed to the officer’s side. The officer, later identified as Keith Palmer, later died of his wounds. Palmer, 48, was on the force for 15 years and was a husband and father, police said. Photos of Ellwood — once an infantry captain in the Royal Green Jackets — show him in a blue suit giving the unidentified police officer mouth-to-mouth and attempting to stanch the blood flowing from the stab wounds. Ellwood reportedly stayed with the officer until an ambulance arrived. A later photo shows him with blood smeared on his forehead. 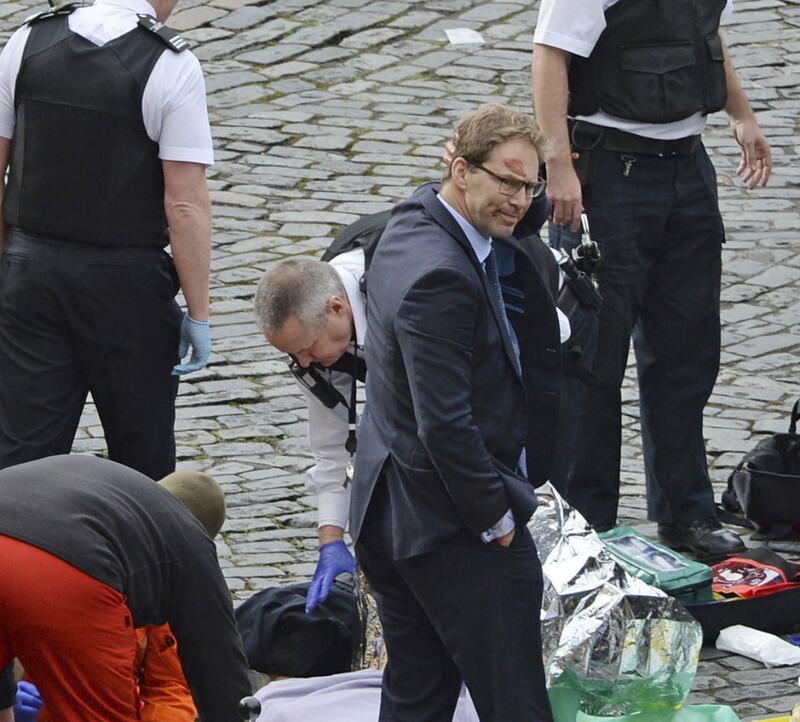 The assailant reportedly barreled across Westminster Bridge in a vehicle and plowed into pedestrians. He then crashed into a fence before eyewitnesses saw him charge through the gates of Westminster Palace with a knife. That is where the law enforcement officer who Ellwood helped was stabbed. Four people were killed, including the police officer, and 40 others were injured before the assailant was himself shot and killed. A dual national of the United States and United Kingdom, Ellwood has represented a constituency in Southern England since 2005. He became the Foreign Minister for the Middle East and Africa in July 2014. Members of Parliament applauded their fellow British lawmaker.